Join us Monday, April 22nd at 11:00 AM to help celebrate Earth Day with a program to recycle old books. 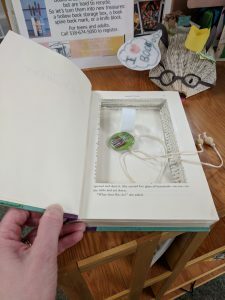 Help the Earth and learn fun ways to upcycle/reuse old books. Check out our display case for some examples. 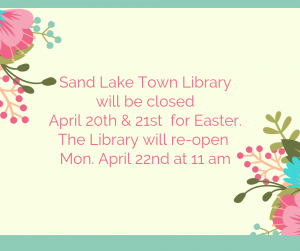 Call the library at 518-674-5050 if you have any questions! 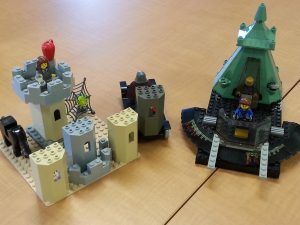 Wednesday, April 10 between 3:30 and 6:00 drop by to build with our LEGOs and KEVA planks and have your creations put on display. Ages 4 and up – bring a friend! It is National Volunteer week–join us as we celebrate our library volunteers and staff at a reception here at the library on Saturday, April 13th from 1:00-3:00 PM.